Washington (AFP) - Saudi critic Jamal Khashoggi criticized Crown Prince Mohammed bin Salman's "authoritarian rule" shortly before his death, in an interview published following confirmation he died at the kingdom's Istanbul consulate. Speaking off the record to a Newsweek journalist working on a story about the Saudi leadership, he insisted he did not view himself as "an opposition" -- he just wanted "a better Saudi Arabia". "I'm not calling for the overthrow of the regime, because I know it's not possible and is too risky, and there is no one to overthrow the regime," Khashoggi said. "I'm just calling for reform of the regime." He described Prince Mohammed as "an old-fashioned tribal leader" out of touch with Saudi's poor. "Sometimes I feel that ... he wants to enjoy the fruits of First World modernity and Silicon Valley and cinemas and everything, but at the same time he wants also to rule like how his grandfather ruled Saudi Arabia," Khashoggi told Newsweek. "He still doesn't see the people. When he sees the people, that's when the actual reform will start." Khashoggi also criticized Prince Mohammed's lack of "proper advisers". "He is moving toward a Saudi Arabia according to him, a Saudi Arabia according to Mohammed bin Salman only," said Khashoggi, who was himself a contributor to the Washington Post newspaper. Khashoggi described two of the prince's aides -- sports chief Turki al-Sheikh and the since-dismissed media adviser Saud al-Qahtani -- as "very thuggish". "People fear them. You challenge them, you might end up in prison, and that has happened," he said. Khashoggi was last seen on October 2 entering his country's consulate in Istanbul. 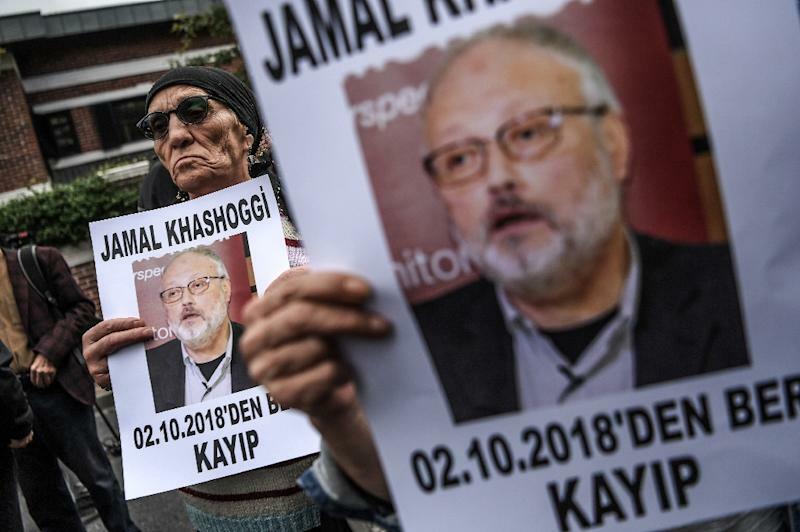 His disappearance had been shrouded in mystery, with Turkish officials accusing Saudi Arabia of carrying out a state-sponsored killing and dismembering the body. Saudi Arabia finally admitted early Saturday that Khashoggi had died inside the consulate in what it described as a "brawl". The admission -- after persistent claims by the Saudi authorities that Khashoggi had left the consulate alive -- came following the threat of US sanctions. The Saudi authorities have not yet said where his body is. In the Newsweek interview, Khashoggi, whose disappearance tipped Saudi Arabia into one of its worst international crises, said pushback from the international community was vital to keeping the Saudi regime in check. "That is our only hope," he said.